Whilst flying en-route the aircraft encountered intense hailstrike causing substantial damage. 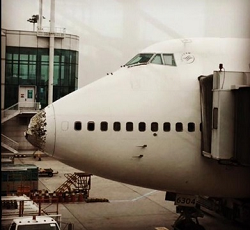 Towards the end of a 12,5 hour trans-pacific flight, the Boeing 747 was flying enroute over northeastern China at flight level 360 (36000 ft), when it encountered severe weather along its air route (A588). 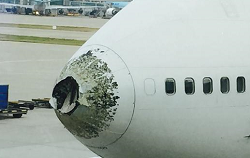 Besides severe turbulences, the aircraft flew through an area of hail. 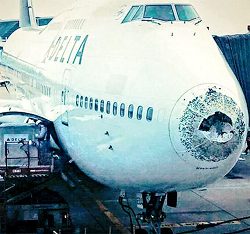 Hailstones impacted all foreward facing surfaces of the Boeing 747, resulting in structural damage to the radome. 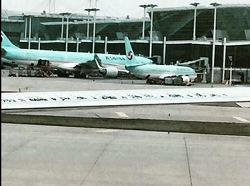 Also the wing leading edges, the empennage and other fuselage areas sustained impact damage. Flight 159 continued on its intended airway and made a safe landing at its destination. The were no reports of any injured persons on board. 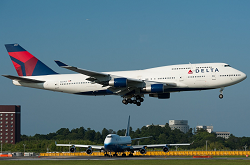 The 747 took intense damage and is likely to remained grounded for repairs for a longer time. 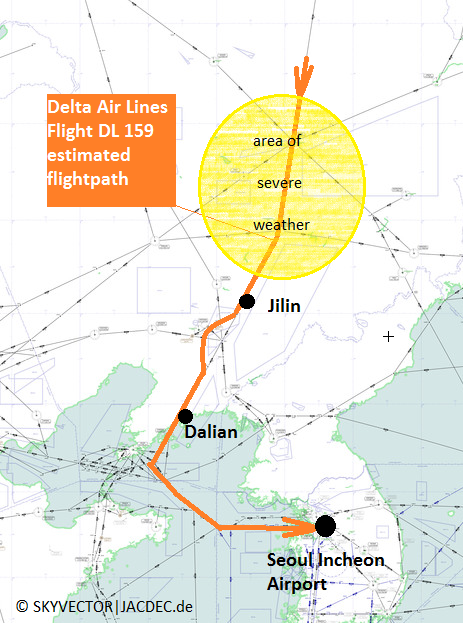 According to a passenger, the pilots explained in their cabin announcement that they requested deviation around the adverse weather ahead but did not get permission by chinese air-traffic control to do so. 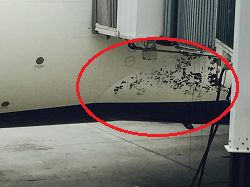 Unconfirmed rumors indicate the aircraft inquestion may be permanently grounded because of its age in relation to the amount of damage.